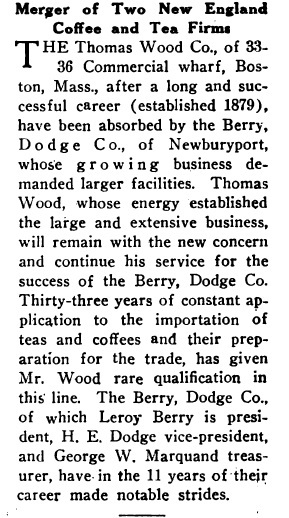 The company was owned by Leroy Berry, Herbert E Dodge, and George Marquand. 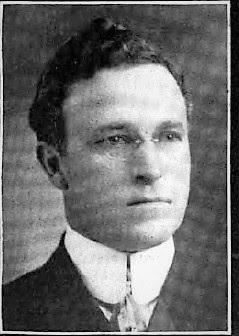 I am posting what I have found in my search so far, but love to hear from you if you have any information or photographs--Still looking into Herbert Dodge too. Thanks! 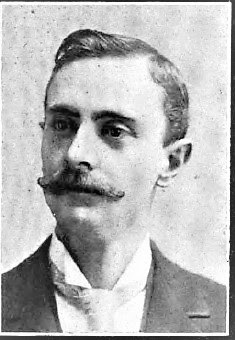 George Warren Marquand (1870-1940) son of Lemuel Clement Marquand (1837-1905) and Joanne Messenger. 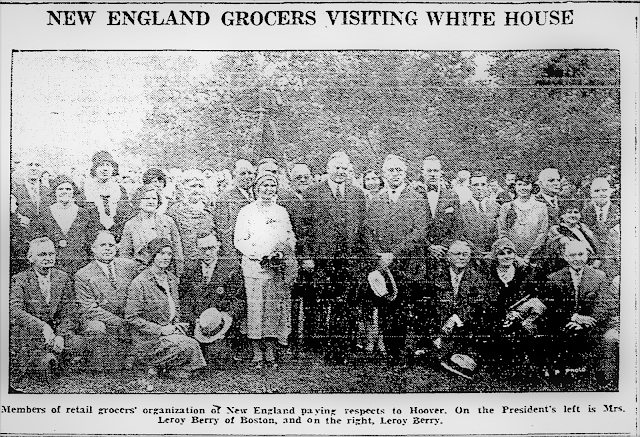 He married Carrie Evans Pike of Salisbury, MA. He was a member of the Masons. 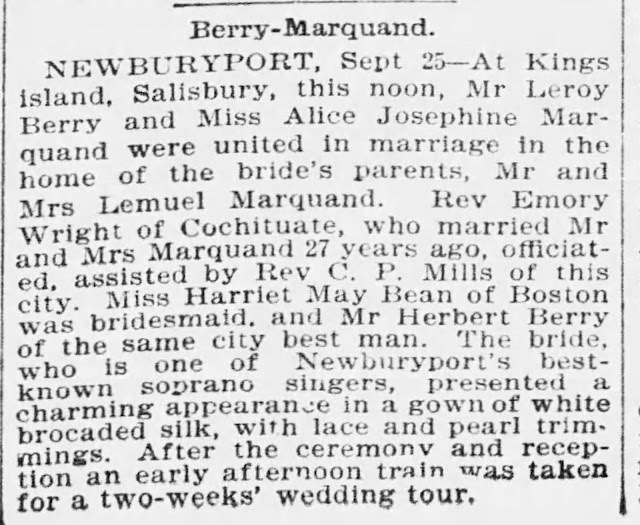 His sister Alice Josephine Marquand married his business partner Leroy Berry. He learned the trade of shipwright in his father's yard at East Boston. From Murray Harbor, Prince Edward Island. Another son, James Henry (1831-1910) married Caroline Darling. 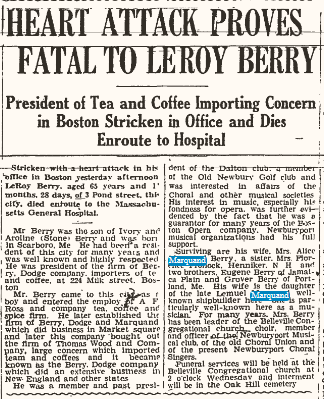 He was also a shipbuilder in Boston. 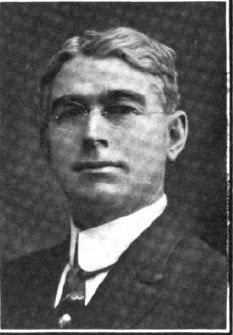 Lemuel Marquand was a partner in the firm of Young and Marquand which built a number of vessels at East Boston and Quincy. 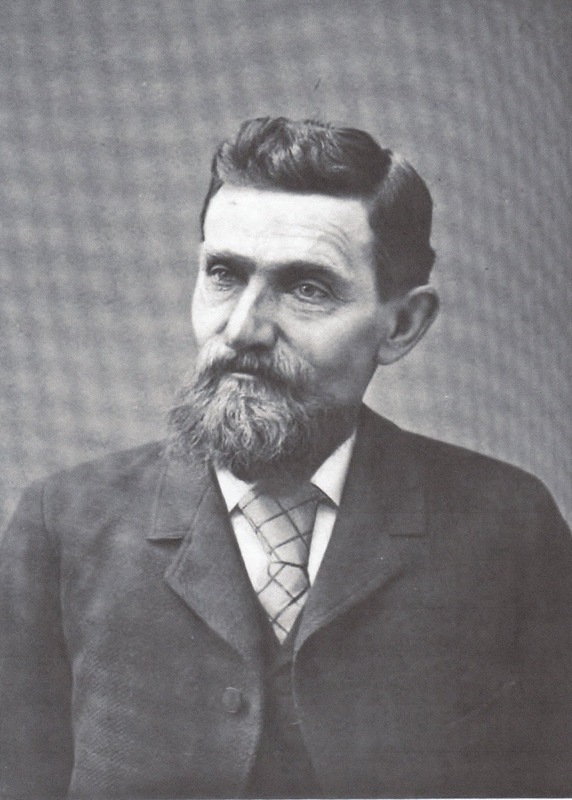 During the civil war his firm built three gun-boats for the government. The firm took contracts for vessels in various ports and did a thriving business. 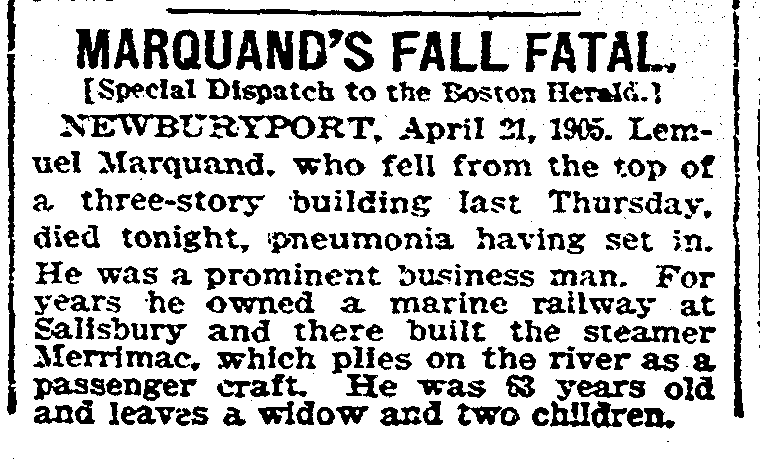 Mr. Marquand became one of the best ship-builders in New England. He was a skillful craftsman himself and possessed business ability of a high order. About 1845, he built the marine railway on the Rings Island side of the Merrimac river, and operated it for a period of twenty-six years very successfully, selling out to good advantage when he wished to retire. In 1873, the railway was sold to Joseph L. Piper of Boston and Lemuel Marquand of Newburyport. 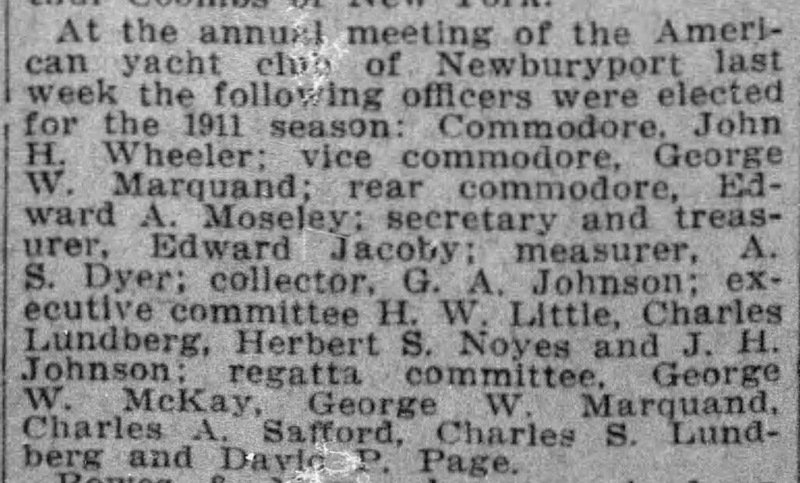 In 1876, Mr. Piper conveyed his interest in the property to Mr. Marquand, who continued to build and repair vessels there until 1903. 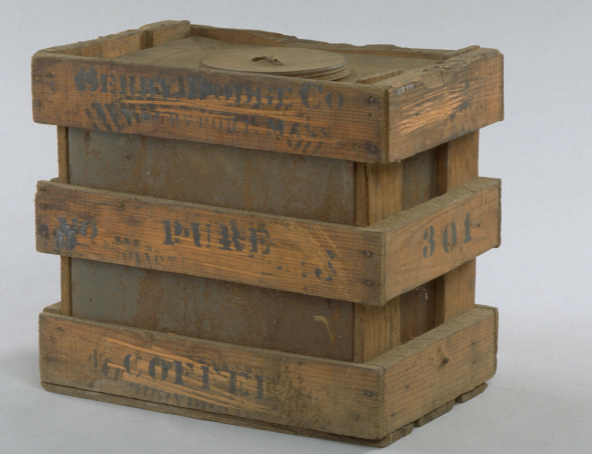 It is now a receiving and distributing station of the Standard Oil Company of New York. In 1892 he built The Merrimack, a stern-wheeled steamboat, about two hundred tons register, built at Ring's Island, Salisbury, for the Merrimack Valley Steamboat Company, is still in active service during the summer months, making two trips daily from Haverhill to Newburyport and Black Rocks. 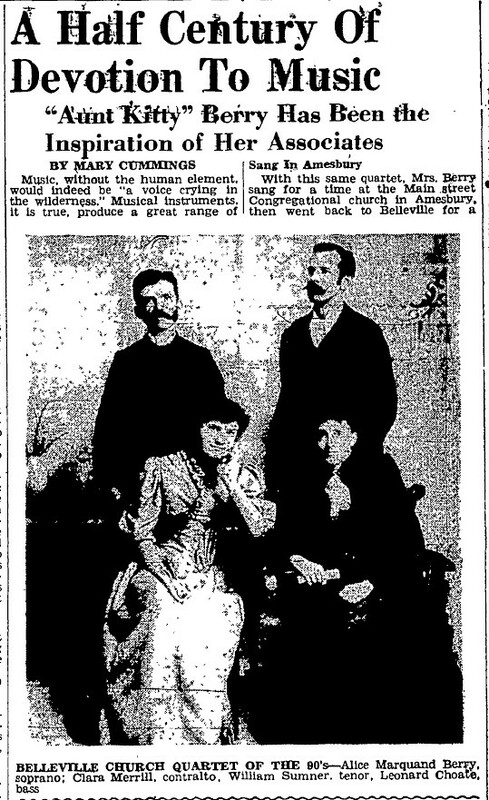 In 1889, the Pauline, built by Lemuel Marquand at Ring's island, in Salisbury, was engaged in the same service. The Josie M., a small steamer, built and owned by Charles H. Sargent and Lemuel Marquand, made excursions down the harbor in the summer of 1888, and frequently extended her trips to Ipswich and Cape Ann when the weather was favorable. She was sold in 1891, and her name changed to Edgewater. 1895 schooner Helen A Locke for T L Mayo and Co of Boston. 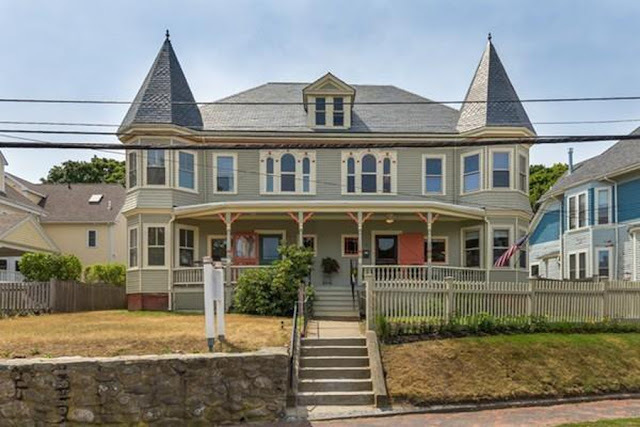 Pond Street House Newburyport home of Marquand and Berry. Both listed in City Directory. 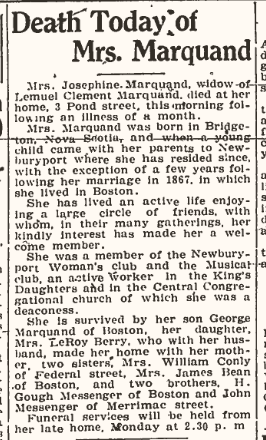 For about thirty years Lemuel Marquand and family lived on Rings Island, then moved to the house on Pond street where he died. He built that house and another at Salisbury. He was a member of Mount Tabor Lodge of Free Masons, East Boston. 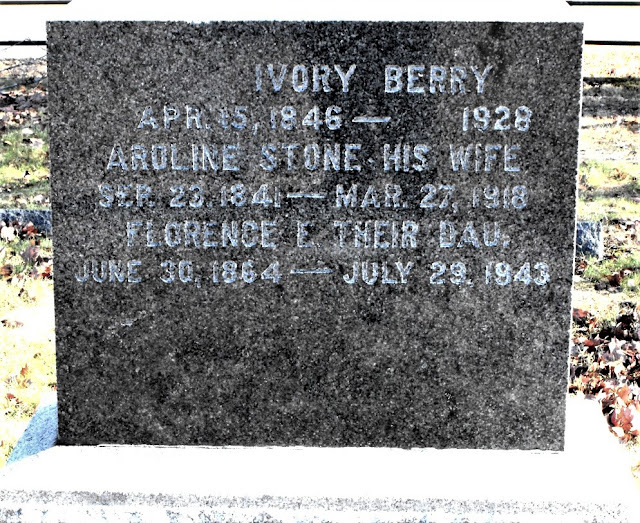 He was deacon and trustee of the church at the time of his death and one of its most prominent and honored members. 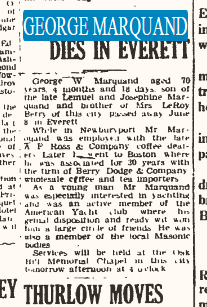 1905 Obit Lemuel Marquand---death was caused by an accident. 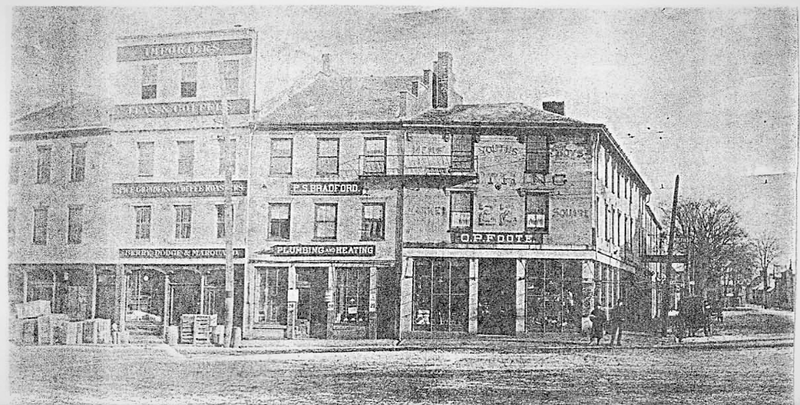 He was inspecting some work on the fourth story of the Berry, Dodge & Marquand building in Market Square, and while getting upon a staging outside, slipped and fell to the ground, a distance of forty feet. His collar bone and several ribs were broken and his right shoulder was dislocated. He was taken home and seemed to be progressing toward recovery, when an attack of pneumonia proved fatal three days later, April 21, 1905, at the age of sixty-eight years.